See this adorable cast of characters? They’re all part of cuddle+kind, a new company based in Ontario, Canada that’s creating amazing hand-knit dolls. Their names, from left-to-right, are Isla, Pearl, Willow, Scout, Chloe, Benedict, Chelsea, Maximus, and Everest. There are so many good things to say about this company I hardly know where to begin. First, the dolls themselves are amazing. 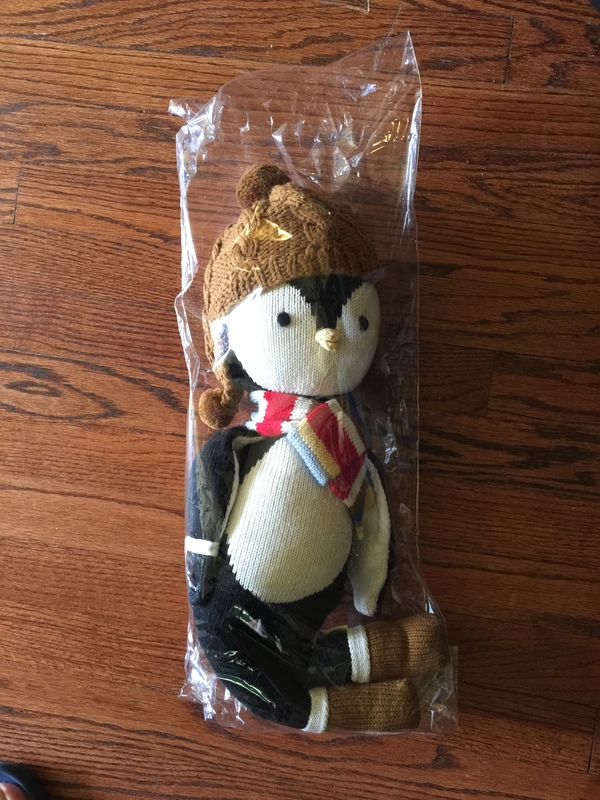 Being a new father, I’ve looked and looked for stuffed animals and dolls for my little girl, but more and more I find that toys out there lacking. Of course, you’ll find the stuffed Elmos and Mickey Mouses, but those seem to be more like advertisements than “friends”. And bears, dogs, lions, and elephants all seem to be mass-produced, “made in China” that completely lack any kind of personality. I remember giving my niece a cute stuffed dog, which she loved for a few minutes but then threw into the closest with what must literally have been 50 that looked exactly the same. 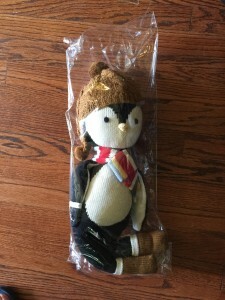 Each of the cuddle+kind dolls is simply designed but each seem to exude personality and style, from Maximus the cat’s ski cap and fish sweater to Scout the reindeer’s popsicle sweater and little tail, to Benedict the bunny’s red-framed glasses and bowtie, to Everest the penguin’s hat and scarf. At 20 inches from head to toe and made of soft, premium natural cotton, they are eminently cuddly and huggable, a perfect gift for the little one in your life to get him or her through those cold, lonely winter nights. Another problem with toys that are mass produced toys is safety. The materials sometimes go through so many loopholes that you have no idea where they came from. cuddle+kind dolls, on the other hand, meet or exceed all US and Canadian safety standards and are made of top-quality yarn of high stitch counts. You can feel confident handing the doll right over to your little one right from the plastic bag he comes in. Also, with mass-produced toys you just don’t know where they’re being made–in some countries those producing the dolls should be the ones playing with the dolls! 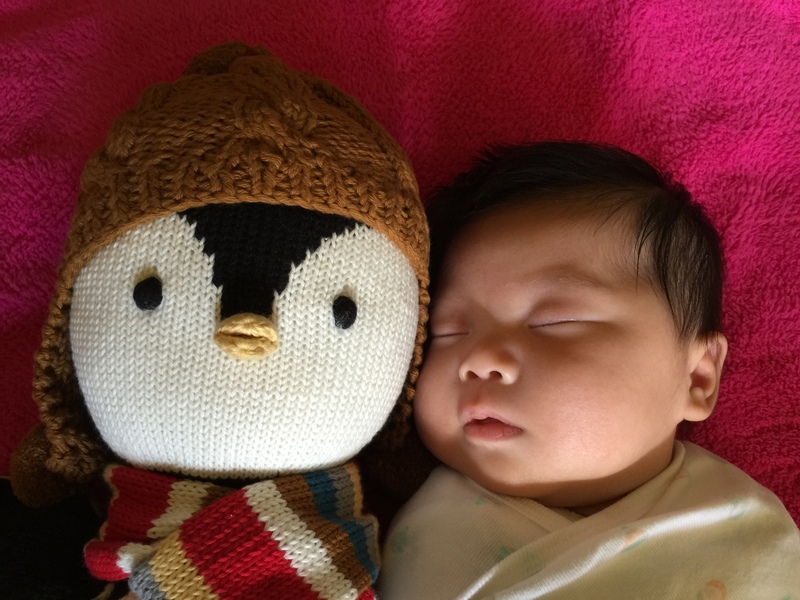 With cuddle+kind dolls, each doll is meticulously hand-made, switched by artisans in Peru. This provides these women with sustainable, fair trade income that helps their families and their communities. I had a chance to play with Everest. I am astounded at the high quality of the hand-stitching and the embroidery. As they describ on their Web site, each doll goes through 42 steps to create just one, and they obsess at the details of every step. You can see it in the craftsmanship; there is not one stitch that’s out of place, not one loose thread, not one detail missing. This is a truly unique doll that you won’t find piles of in your local Toys R Us. At $49 it’s a bit pricier than your generic mass-produced doll, but when you consider the value, the price is really a small one to pay. All the $5-15 stuffed animals in your closet will invariably end up in a closest or landfill somewhere. But these dollars are of such high quality, and so beautifully made that you little one will hug, befriend, and love him or her for life. I “introduced” my little girl Maddie to Everest. At 20 inches, Everest is just about her size right now. But as she grows older, he’ll be of the perfect size for her to hug and cuddle with on those cold winter nights. And what makes the value even more amazing is that the founders of cuddle+kind, Jennifer and Derek Woodgate, founded it not to enrich themselves but to help feed hungry children in North America and around the world. And so with every doll purchased, they will provide 10 meals to children in need in the US and Canada and around the world through World Food Program USA and Children’s Hunger Fund, with a goal of providing 1 million meals a year. And just so you can start teaching your little one early the importance of caring for others less fortunate than him or her, each doll is wearing a little wristband that reads “1 doll = 10 meals”. 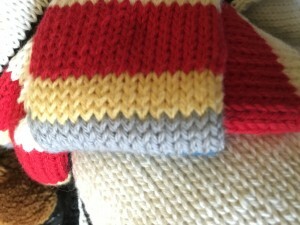 You can order a doll of your own at Indiegogo. So far, they’ve sold enough to provide 25,000 meals to children, but you can help them by buying your own and by following them on Facebook, Instagram, and Pinterest. This is by far my most favorite kind of product to review–a high quality product produced by a small business to help a great cause. cuddle+kind meets all three of these, and I can’t recommend it highly enough.